As the fall semester approaches, now is a great time to review how to park at Salt Lake Community College campuses. Students who regularly drive to school know the pain of finding a good parking spot. This is especially true during the first week of the semester. 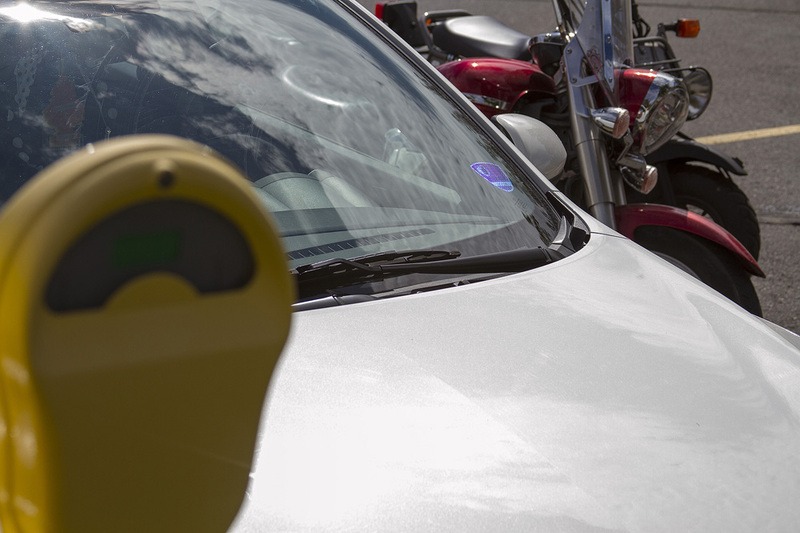 Here are five tips that will help students when it comes to parking on campus. At all SLCC campuses, students who drive to school are required to have a valid SLCC parking permit. To obtain a SLCC parking permit, students must have a valid vehicle registration. Permits are issued to specific vehicles, and are non-transferable. Stickers are issued to students that drive only one car, and hangtags are issued to students with two or more vehicles. For multiple cars, the student must provide valid registrations for each vehicle. A special parking permit is required at the Library Square campus. Permits can be purchased at the front desk. A regular SLCC permit is not valid at Library Square, but a Library Square permit is valid at all SLCC campuses. The first week of each semester is the busiest. Lines for everything are long. Parking permits are available for purchase online and at all SLCC campuses. Many SLCC campuses have visitor parking lots. These lots are either metered parking spots or part of a pay lot. UTA buses or TRAX trains stop near most SLCC campuses, and the SLCC B-Line shuttle helps students navigate between different campuses. SLCC also provides bicycle racks at most campuses. Students can sign up for a registry service to assist local authorities in the case a bicycle is stolen. Campus parking fills up very fast. The earlier you arrive to a class, the more likely it is to find a good spot. Having a SLCC parking permit does not guarantee any student a parking space. As with all parking lots, parking is on a first come, first served basis. 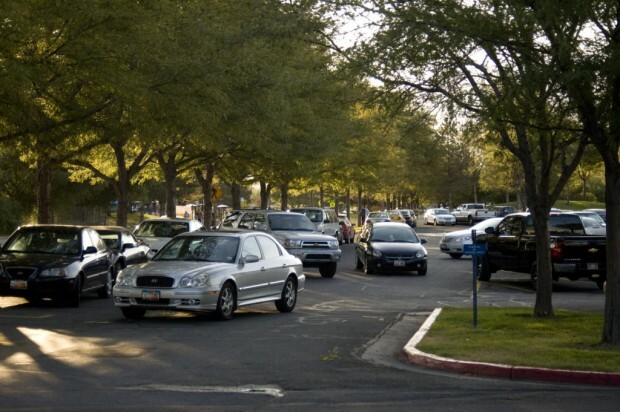 Students who drive to school and have a valid permit must still follow certain rules when parking at a SLCC campus. In SLCC parking lots, students should look for spots that have solid yellow lines on each side of the vehicle. Solid blue lines surrounding a parking spot are reserved for SLCC faculty and staff. A valid SLCC parking permit must be visible on every vehicle parked at a SLCC campus. Stickers much be stuck to the lower left corner of the front windshield. Hangtags are to be displayed on the rear-view mirror with the date visible. For students without a regular permit, temporary permits are available at all SLCC campuses. Above all else, use common sense. Be courteous to fellow students and drivers. Being late to a class is preferable to rear-ending another person while fighting for the best parking spot. Following traffic laws, parking in approved areas and being prepared to park are ideas to make parking at SLCC a little easier.